Gdynia [ˈɡdɨɲa] ( listen) (German: Gdingen, 1939-1945 Gotenhafen; Kashubian: Gdiniô) is a city in the Pomeranian Voivodeship of Poland and a seaport of Gdańsk Bay on the south coast of the Baltic Sea. Located in Kashubia in Eastern Pomerania, Gdynia has a population of 246,232 making it the twelfth-largest city in Poland and the second-largest in the voivodeship after Gdańsk. It is part of a conurbation with the spa town of Sopot, the city of Gdańsk and suburban communities, which together form a metropolitan area called the Tricity (Trójmiasto), with a population of over a million people. For centuries, Gdynia remained a small farming and fishing village on the Baltic coast. At the beginning of the 20th-century Gdynia became a seaside resort town and experienced an inflow of tourists. This triggered an increase in local population. After Poland regained its independence in 1918, a decision was made to construct a Polish seaport in Gdynia, between the Free City of Danzig (a semi-autonomous city-state under joint League of Nations and Polish administration) and German Pomerania, making Gdynia the primary economic hub of the Polish Corridor. It was then that the town was given a more cosmopolitan character with modernism being the dominant architectural style and emerged as a city in 1926. The rapid development of Gdynia was interrupted by the outbreak of World War II. The German troops refrained from deliberate bombing. The newly built port and shipyard were completely destroyed during the war. The population of the city suffered much heavier losses as most of the inhabitants were evicted and expelled. The locals were either displaced to other regions of occupied Poland or sent to Nazi concentration camps throughout Europe. After the war, Gdynia was settled with the former inhabitants of Warsaw and lost cities such as Lviv and Vilnius in the Eastern Borderlands. The city was gradually regenerating itself with its shipyard being rebuilt and expanded. In December 1970 the shipyard workers protest against the increase of prices was bloodily repressed. This greatly contributed to the rise of the Solidarity movement in Gdańsk. Today the port of Gdynia is a regular stopover on the itinerary of luxurious passenger ships and a new ferry terminal with a civil airport are under realisation. The city won numerous awards in relation to safety, infrastructure, quality of life and a rich variety of tourist attractions. In 2013 Gdynia was ranked as Poland's best city to live in and topped the rankings in the overarching category of general quality of life. Gdynia is also highly noted for its access to education. There are prestigious universities such as the Polish Naval Academy nearby. The area of the later city of Gdynia shared its history with Pomerelia (Eastern Pomerania); in prehistoric times it was the center of Oksywie culture; it was later populated by Slavs with some Baltic Prussian influences. Late 10th century: Pomerelia was united with Poland. During the reign of Mieszko II Pomerelia seceded from Poland and became independent. 1116/1121: Bolesław III reunited Pomerelia with Poland. 1209: First mention of Oxhöft (now known as Oksywie, which is now a part of Gdynia). 1227: Pomerelia again became an independent Duchy. 1253: First known mention of the name "Gdynia", as a Pomeranian (Kashubian) fishing village. The first church on this part of the Baltic Sea coast was built there. 1309–1310; The Teutonic Order conquered Pomerelia and added it to Prussia. 1380: The owner of the village which became Gdynia, Peter from Rusocin, gave the village to the Cistercian Order. 1382: Gdynia became property of the Cistercian abbey in Oliva, now Oliwa. 1454: Thirteen Years' War started. 1466: Thirteen Years' War ended. Pomerelia became part of Royal Prussia, a newly established province of the Kingdom of Poland, and later of the Polish–Lithuanian Commonwealth. 1772: In the First Partition of Poland, Royal Prussia (including Gdynia) was annexed into the Kingdom of Prussia. Gdynia became known in German as Gdingen, and was expropriated from the Cistercian Order. 1789: There were only 21 houses in Gdynia. Around that time Gdynia (Gdingen) was so small that it was not marked on many maps of the period: it was about halfway from Oxhöft to Kleine Katz. The Kingdom of Prussia became part of the German Empire. 1905: Gdingen shown on a big map, on the coast between Oxhöft and Zoppot. 1919: Treaty of Versailles and the start of the dismemberment of eastern Germany. 1920: Gdingen (now named Gdynia), along with other parts of former West Prussia, became a part of the new Republic of Poland; simultaneously, the city of Danzig and surrounding area was declared a free city and put under the League of Nations, though Poland was given economic liberties and requisitioned for matters of foreign representation. The decision to build a major seaport at Gdynia village was made by the Polish government in winter 1920, in the midst of the Polish–Soviet War (1919–1920). The authorities and seaport workers of the Free City of Danzig felt Poland's economic rights in the city were being misappropriated to help fight the war. German dockworkers went on strike, refusing to unload shipments of military supplies sent from the West to aid the Polish army, and Poland realized the need for a port city it was in complete control of, economically and politically. Construction of Gdynia seaport started in 1921 but, because of financial difficulties, it was conducted slowly and with interruptions. It was accelerated after the Sejm (Polish parliament) passed the Gdynia Seaport Construction Act on 23 September 1922. By 1923 a 550-metre pier, 175 metres (574 feet) of a wooden tide breaker, and a small harbour had been constructed. Ceremonial inauguration of Gdynia as a temporary military port and fishers' shelter took place on 23 April 1923. The first major seagoing ship arrived on 13 August 1923. To speed up the construction works, the Polish government in November 1924 signed a contract with the French-Polish Consortium for Gdynia Seaport Construction. By the end of 1925, they had built a small seven-metre-deep harbour, the south pier, part of the north pier, a railway, and had ordered the trans-shipment equipment. The works were going more slowly than expected, however. They accelerated only after May 1926, because of an increase in Polish exports by sea, economic prosperity, the outbreak of the German–Polish trade war which reverted most Polish international trade to sea routes, and thanks to the personal engagement of Eugeniusz Kwiatkowski, Polish Minister of Industry and Trade (also responsible for construction of Centralny Okręg Przemysłowy). By the end of 1930 docks, piers, breakwaters, and many auxiliary and industrial installations were constructed (such as depots, trans-shipment equipment, and a rice processing factory) or started (such as a large cold store). Trans-shipments rose from 10,000 tons (1924) to 2,923,000 tons (1929). At this time Gdynia was the only transit and special seaport designed for coal exports. In the years 1931–1939 Gdynia harbour was further extended to become a universal seaport. In 1938 Gdynia was the largest and most modern seaport on the Baltic Sea, as well as the tenth biggest in Europe. The trans-shipments rose to 8.7 million tons, which was 46% of Polish foreign trade. In 1938 the Gdynia shipyard started to build its first full-sea ship, the Olza. The city was constructed later than the seaport. In 1925 a special committee was inaugurated to build the city; city expansion plans were designed and city rights were granted in 1926, and tax privileges were granted for investors in 1927. The city started to grow significantly after 1928. A new railway station and the Post Office were completed. The State railways extended their lines, built bridges and also constructed a group of houses for their employees. Within a few years houses were built along some 10 miles (16 km) of road leading northward from the Free City of Danzig to Gdynia and beyond. Public institutions and private employers helped their staffs to build houses. In 1933 a plan of development providing for a population of 250,000 was worked out by a special commission appointed by a government committee, in collaboration with the municipal authorities. By 1939 the population had grown to over 120,000. The city and seaport were occupied in September 1939 by German troops and renamed Gotenhafen after the Goths, an ancient Germanic tribe, who had lived in the area. Some 50,000 Polish citizens, who after 1920 had been brought into the area by the Polish government after the decision to enlarge the harbour was made, were expelled to the General Government. Kashubians who were suspected to support the Polish cause, particularly those with higher education, were arrested and executed. The main place of execution was Piaśnica (Groß Plaßnitz), where about 12,000 were executed. The German gauleiter Albert Forster considered Kashubians of "low value" and did not support any attempts to create a Kashubian nationality. Some Kashubians organized anti-Nazi resistance groups, "Gryf Kaszubski" (later "Gryf Pomorski"), and the exiled "Zwiazek Pomorski" in Great Britain. The harbour was transformed into a German naval base. The shipyard was expanded in 1940 and became a branch of the Kiel shipyard (Deutsche Werke Kiel A.G.). Gotenhafen became an important base, due to its being relatively distant from the war theater, and many German large ships—battleships and heavy cruisers—were anchored there. During 1942, Dr Joseph Goebbels authorized relocation of Cap Arcona to Gotenhafen Harbour as a stand-in for RMS Titanic during filming of the German-produced movie Titanic, directed by Herbert Selpin. 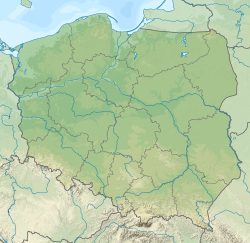 The city was also the location for the Nazi concentration camp Gotenhafen, a subcamp of the Stutthof concentration camp near Gdańsk. The seaport and the shipyard both witnessed several air raids by the Allies from 1943 onwards, but suffered little damage. Gotenhafen was used during winter 1944–45 to evacuate German troops and refugees trapped by the Red Army. Some of the ships were hit by torpedoes from Soviet submarines in the Baltic Sea on the route west. The ship Wilhelm Gustloff sank, taking about 9,400 people with her – the worst loss of life in a single sinking in maritime history. The seaport area was largely destroyed by withdrawing German troops and millions of encircled refugees in 1945 being bombarded by the Soviet military (90% of the buildings and equipment were destroyed) and the harbour entrance was blocked by the German battleship Gneisenau that had been brought to Gotenhafen for major repairs. On March 28, 1945, Gotenhafen was captured by the Soviets and assigned to Polish Gdańsk Voivodeship, who again renamed it Gdynia. In the Polish 1970 protests, worker demonstrations took place at Gdynia Shipyard. Workers were fired upon by the police. The fallen (e.g. Brunon Drywa) became symbolized by a fictitious worker Janek Wiśniewski, commemorated in a song by Mieczysław Cholewa, Pieśń o Janku z Gdyni. One of Gdynia's important streets is named after Janek Wiśniewski. The same person was portrayed by Andrzej Wajda in his movie Man of Iron as Mateusz Birkut. On December 4, 1999, a storm destroyed a huge crane in a shipyard, which was able to lift 900 tons. The climate of Gdynia is an oceanic climate owing to its position of the Baltic sea, which moderates the temperatures, compared to the interior of Poland. The climate is cool throughout the year and there is a somewhat uniform precipitation throughout the year. Typical of Northern Europe, there is little sunshine during the year. Gdynia is divided into smaller divisions: dzielnicas and osiedles. Gdynia's dzielnicas include: Babie Doły, Chwarzno-Wiczlino, Chylonia, Cisowa, Dąbrowa, Działki Leśne, Grabówek, Kamienna Góra, Karwiny, Leszczynki, Mały Kack, Obłuże, Oksywie, Orłowo, Pogórze, Pustki Cisowskie-Demptowo, Redłowo, Śródmieście, Wielki Kack, Witomino-Leśniczówka, Witomino-Radiostacja, Wzgórze Św. Maksymiliana . Osiedles: Bernadowo, Brzozowa Góra, Chwarzno, Dąbrówka, Demptowo, Dębowa Góra, Fikakowo, Gołębiewo, Kacze Buki, Kolibki, Kolonia Chwaszczyno, Kolonia Rybacka, Krykulec, Marszewo, Międzytorze, Niemotowo, Osada Kolejowa, Osada Rybacka, Osiedle Bernadowo, Port, Pustki Cisowskie, Tasza, Wiczlino, Wielka Rola, Witomino, Wysoka, Zielenisz. Gdynia is a relatively modern city. Its architecture includes the 13th century St. Michael the Archangel's Church in Oksywie, the oldest building in Gdynia, and the 17th century neo-Gothic manor house located on Folwarczna Street in Orłowo. The city also holds many examples of early 20th-century architecture, especially monumentalism and early functionalism, and modernism. A good example of modernism is PLO building situated at 10 Lutego Street. The surrounding hills and the coastline attract many nature lovers. A leisure pier and a cliff-like coastline in Kępa Redłowska, as well as the surrounding Nature Reserve, are also popular locations. In the harbour, there are two anchored museum ships, the destroyer ORP Błyskawica and the tall ship frigate Dar Pomorza. A 1.5-kilometre (0.93 mi)-long promenade leads from the marina in the city centre, to the beach in Redłowo. Most of Gdynia can be seen from Kamienna Góra (54 metres (177 feet) asl) or the viewing point near Chwaszczyno. There are also two viewing towers, one at Góra Donas, the other at Kolibki. Gdynia hosts the Gdynia Film Festival, the main Polish film festival. The International Random Film Festival was hosted in Gdynia in November 2014. Since 2003 Gdynia has been hosting the Open'er Festival, one of the biggest contemporary music festivals in Europe. The festival welcomes many foreign hip-hop, rock and electronic music artists every year. The lineup for 2015 was Mumford and Sons, Of Monsters and Men, The Prodigy, The Vaccines and many more. Another important summer event in Gdynia is the Viva Beach Party, which is a large two-day techno party made on Gdynia's Public Beach and a summer-welcoming concerts CudaWianki. Gdynia also hosts events for the annual Gdańsk Shakespeare Festival. In the summer of 2014 Gdynia hosted Red Bull Air Race World Championship. In 2008, Gdynia made it onto the Monopoly Here and Now World Edition board after being voted by fans through the Internet. Gdynia occupies the space traditionally held by Mediterranean Avenue, being the lowest voted city to make it onto the Monopoly Here and Now board, but also the smallest city to make it in the game. 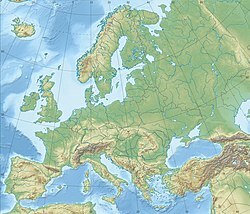 All of the other cities are large and widely known ones, the second smallest being Riga. The unexpected success of Gdynia can be attributed to a mobilization of the town's population to vote for it on the Internet. An abandoned factory district in Gdynia was the scene for the survival series Man vs Wild, season 6, episode 12. The host, Bear Grylls, manages to escape the district after blowing up a door and crawling through miles of sewer. Ernst Stavro Blofeld, the supervillain in the James Bond novels, was born in Gdynia on May 28, 1908, according to Thunderball. Gdynia is sometimes called "Polish Roswell" due to the alleged UFO crash on January 21, 1959. Stanisław Baranowski (1935–1978) a Polish glaciologist, undertook scientific expeditions to Spitsbergen and Antarctica. In 2007, 364,202 passengers, 17,025,000 tons of cargo and 614,373 TEU containers passed through the port. Regular car ferry service operates between Gdynia and Karlskrona, Sweden. The conurbation's main airport, Gdańsk Lech Wałęsa Airport, lays approximately 25 kilometres (16 mi) south-west of central Gdynia, and has connections to approximately 55 destinations. It is the third largest airport in Poland. A second General Aviation terminal was scheduled to be opened by May 2012, which will increase the airport's capacity to 5mln passengers per year. Another local airport, (Gdynia-Kosakowo Airport) is situated partly in the village of Kosakowo, just to the north of the city, and partly in Gdynia. This has been a military airport since the World War II, but it has been decided in 2006 that the airport will be used to serve civilians. Work was well in progress and was due to be ready for 2012 when the project collapsed following a February 2014 EU decision regarding Gdynia city funding as constituting unfair competition to Gdańsk airport. In March 2014, the airport management company filed for bankruptcy, this being formally announced in May that year. The fate of some PLN 100 million of public funds from Gdynia remain unaccounted for with documents not being released, despite repeated requests for such from residents to the city president, Wojciech Szczurek. Trasa Kwiatkowskiego links Port of Gdynia and the city with Obwodnica Trójmiejska, and therefore A1 motorway. National road 6 connects Tricity with Słupsk, Koszalin and Szczecin agglomeration. The principal station in Gdynia is Gdynia Główna railway station, and Gdynia has five other railway stations. Local services are provided by the 'Fast Urban Railway,' Szybka Kolej Miejska (Tricity) operating frequent trains covering the Tricity area including Gdańsk, Sopot and Gdynia. Long distance trains from Warsaw via Gdańsk terminate at Gdynia, and there are direct trains to Szczecin, Poznań, Katowice, Lublin and other major cities. In 2011-2015 the Warsaw-Gdańsk-Gdynia route is undergoing a major upgrading costing $3 billion, partly funded by the European Investment Bank, including track replacement, realignment of curves and relocation of sections of track to allow speeds up to 200 km/h (124 mph), modernization of stations, and installation of the most modern ETCS signalling system, which is to be completed in June 2015. In December 2014 new Alstom Pendolino high-speed trains were put into service between Gdynia, Warsaw and Kraków reducing rail travel times to Gdynia by 2 hours. Gdynia Maritime University in the building from 1937 as example of prewar Polish modern architecture. ^ "Gdynia turystyczna". Retrieved 29 November 2016. ^ "Gdynia rated Poland's best city". Retrieved 29 November 2016. ^ a b "Port of Gdynia". worldportsource.com. ^ a b c Robert Michael Citino. The path to blitzkrieg: doctrine and training in the German Army, 1920–1939. Lynne Rienner Publishers. 1999. p. 173. ^ "my weather2". Weather 2. Retrieved 31 March 2015. ^ P.C., Net. "Gdynia - About the city - Modernism in Europe – Modernism in Gdynia". Retrieved 30 November 2016. ^ P.C., Net. "Gdynia - Tourism - Gdynia cultural". Retrieved 30 November 2016. ^ "ORP "Błyskawica" - Muzeum Marynarki Wojennej w Gdyni". Retrieved 30 November 2016. ^ "Redłowo - Mapa Gdynia, plan miasta, dzielnice w Gdyni - E-turysta". Retrieved 30 November 2016. ^ "Kolejka na Kamienną Górę ruszyła". Retrieved 30 November 2016. ^ Booth, B. J. "Poland UFO Crashes, UFO Casebook Files". ufocasebook.com. ^ Gross, Patrick. "ufo - UFOS at close sight: URECAT-000112 - January 21, 1959, Gdynia, Gdanskie, Poland, beach guards and doctors". patrickgross.org. ^ OMI, Telewizja Polska SA -. "UFO nad Gdynią, czyli… polskie Roswell - Telewizja Polska SA". tvp.pl. ^ "UFO rozbiło się w Polsce". onet.pl. 7 July 2013. ^ Polska, Grupa Wirtualna (22 January 2014). "Katastrofa UFO w Gdyni. Czy to polskie Roswell?". niewiarygodne.pl. ^ "Historia Rugby Club Arka Gdynia". Arkarugby.pl. 2012-05-26. Archived from the original on 2013-05-21. Retrieved 2013-03-12. ^ Port Lotniczy Gdańsk im. Lecha Wałęsy. "Historia lotniska – Port Lotniczy Gdańsk im. Lecha Wałęsy". Airport.gdansk.pl. Archived from the original on 2013-09-18. Retrieved 2013-03-12. ^ "About airport | Port Lotniczy Gdynia-Kosakowo". Airport.gdynia.pl. Retrieved 2013-03-12. ^ a b c d e f g h i j k l m n o P.C., Net. "Gdynia - International Gdynia - International co-operation of Gdynia". www.gdynia.pl. Archived from the original on 2016-10-19. ^ "Города-партнёры" (in Russian). Kaliningrad City Hall. Archived from the original on April 22, 2009. Retrieved 2008-12-08. ^ Luhn, Alec (20 November 2011). "Kaliningrad". The Moscow Times. Retrieved 26 February 2016. ^ "Twin cities of Kiel". kiel.de (in German). ^ Hassinen, Raino. "Kotka - International co-operation: Twin Cities". City of Kotka. Retrieved 2013-10-22. ^ "Plymouth – Town Twinning". Plymouth City Council. Retrieved 2013-07-14. Wikivoyage has a travel guide for Gdynia. Wikimedia Commons has media related to Gdynia.